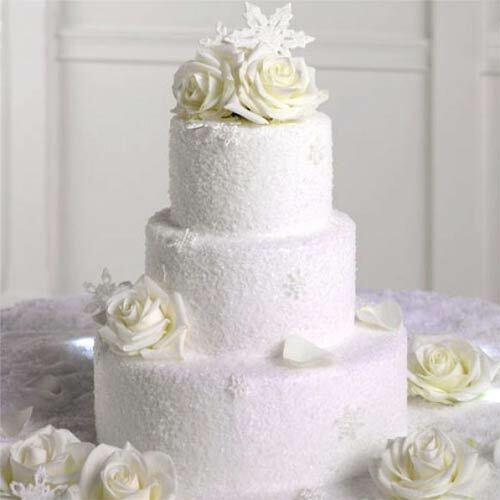 Imagine for a moment, a white winter wedding and beautiful winter wedding cakes to top off that gorgeous winter theme. I always think of rich creamy cakes with a cup of hot tea, a warm sizzling fireplace and frosted panes of glass keeping the cold at bay. Winter theme wedding cakes often go hand in hand with Christmas in the northern hemisphere and visions of snow on the ground and people skating on frozen ponds spring to mind. Of course, in the northern hemisphere, the onset of deep winter used to send young men courting so winter weddings were relatively common. In Croatia, December is called Prosinac which translates as courting time. 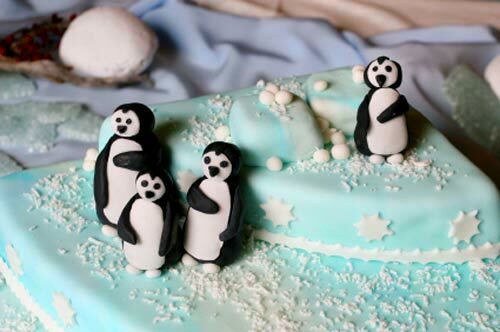 Of course in the southern hemisphere, winter is consigned to the months of June through to August, and snow is largely the preserve of mountainous areas, but there is something about a snow covered ground that makes a winter wedding cake of fondant covered fruitcake, chocolate or caramel mud cake so ahhh-inspiring! 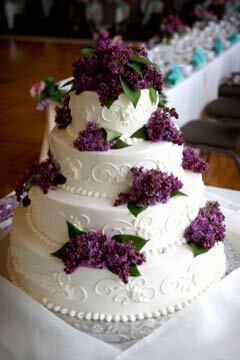 Wedding cakes for a winter wedding will of course vary from country to country, but the effect is always the same. 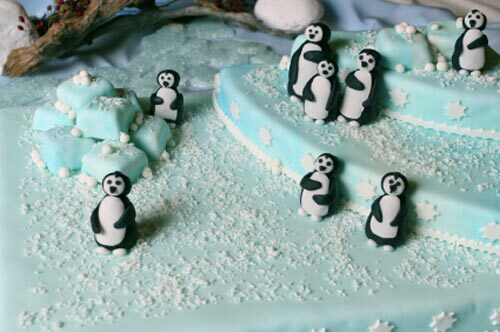 Depending on which side of our beautiful planet you call home, your cake may incorporate Christmas ornaments to go with winter wedding cake toppers. 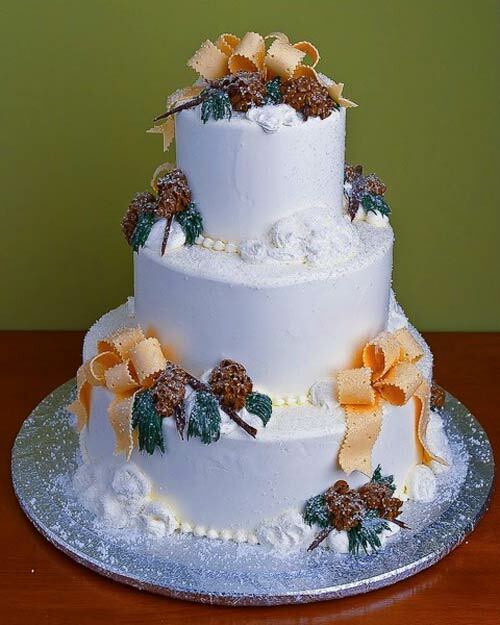 If you are looking for ideas or designs for your winter wonderland wedding cake, have a look through these pictures of winter wedding cakes for your inspiration. 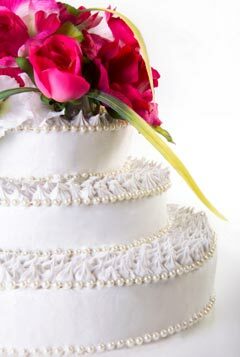 Here are some wedding cake designs for inspiration and ideas. 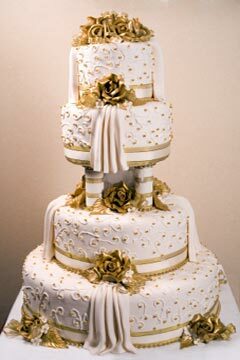 Pictures of wedding cakes suitable for casual and formal weddings. Three tier white buttercream wedding cake made out to look like snow. Embellished with strands of pearls around the inner and outer edges of the three tiers. Finished off with a vibrant mini flower bouquet topper to match the bridal bouquet. 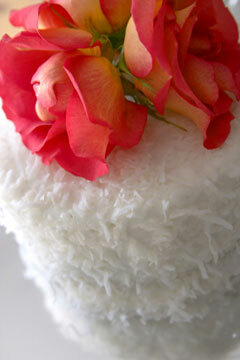 Winter white snowflake wedding cake was sprinkled with large shredded chunks of coconut, it looks just like white snow. Complimented with contrasting burnt orange red roses as the wedding cake topper to match the brides bouquet. 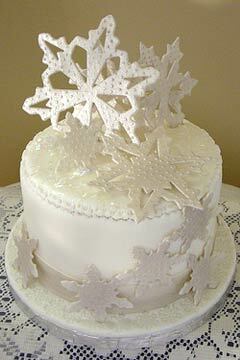 These snowflake wedding cakes are wedding cupcakes perfect for a winter theme. 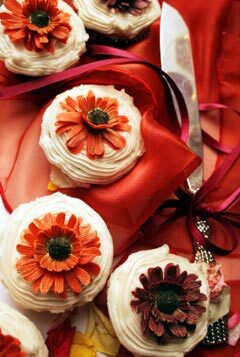 Each cupcake has a slightly different design and decoration. The blue ice effect was made with blue dyed rolled fondant icing, it was cut out into zig zaggy shapes and positioned on top of each cupcake. 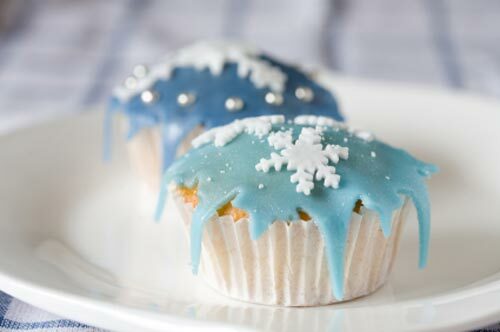 Exotic winter cupcake wedding cakes. Rich in colour with naughty comforting buttercream frosting. So appetising you could easily eat two. Mouth watering rich winter chocolate cake ideal for an exotic theme and perfect at the end of the evening with hot coffee or tea. 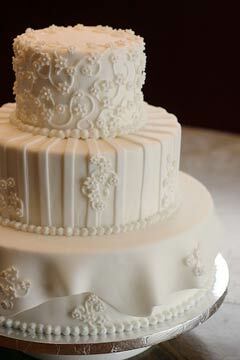 Huge wedding cakes like these are layered with perfectly smooth fondant frosting and an ideal winter dessert. Its traditional wedding fruit cake centre is an all time wedding cake favourite. Adorned with gold ribbons, flowers and decorative elements. 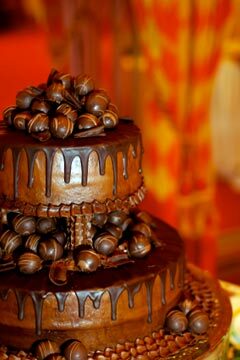 Wedding cake made with white marshmellow buttercream frosting and its centre is rich chocolate mud cake. Decorated with alternating exotic purple flowers and topper to match the brides bouquet. Are you having a Christmas winter wedding with Santa? 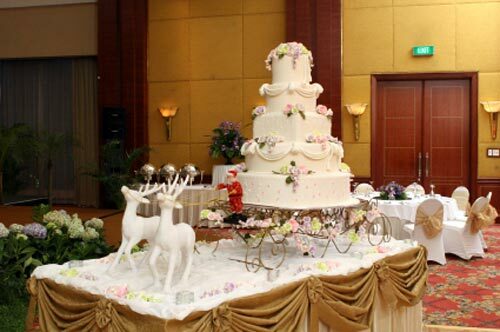 This five tier huge wedding cake is ideal for a big wedding. The Christmas spirit puts a smile on every face, especially the kiddies at heart. If you see cakes that you love, show them to your wedding cake designer - they can replicate any wedding cake, all they need is a photo.